I have always been interested in trying noise-cancelling headphones when I fly. But, I prefer the portability and comfort of in-ear headphones. So, until recently, there weren’t many desirable options. 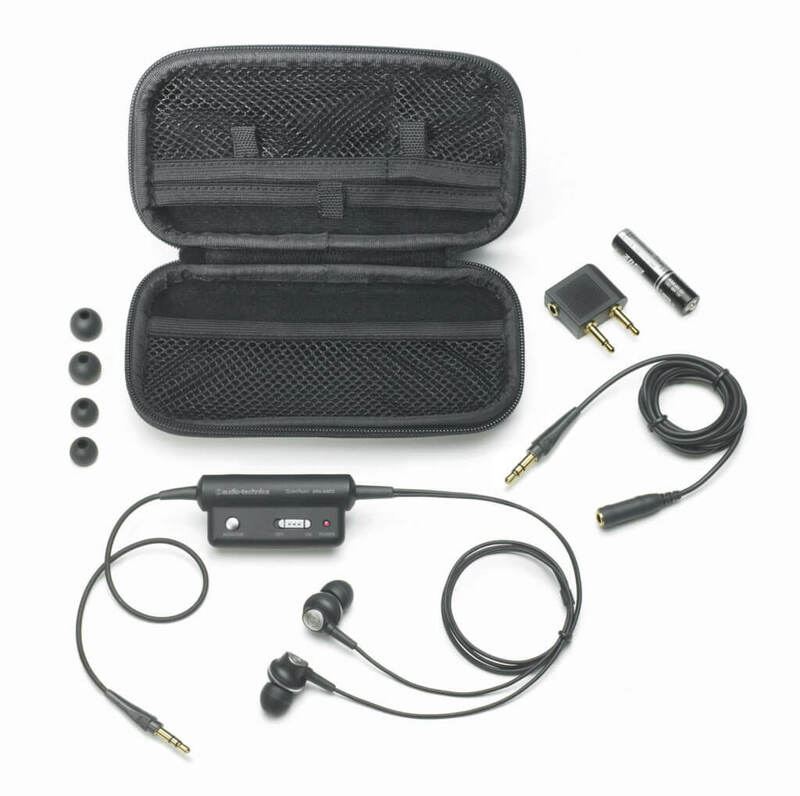 Then I discovered the audio-technica ATH-ANC3 in-ear noise-cancelling headphones at my local Apple Store. Electronics in the control box create a noise-cancelling wave that is 180° out of phase with the ambient noise. This wave acts like a noise eraser: it cancels out the annoying sounds that surround you without diminishing the audio you want to hear. The result…a peaceful enclave to enjoy the music or movies of your choice.